Why Does Your Knee Snap and Pop? Knees which snap and pop will bring many patients in the door. Some patients have painful popping or grinding of their knee. Most simply have grinding, popping or snapping without pain. Some of you might recall an injury, but most of you will not remember being injured. In many cases your knee simply started popping or snapping one day. Not all cases of knee popping require treatment, but some do. The vast majority of people with grinding or popping in their knee do not have pain, and do not need to worry. There are some interesting scientific studies which show that people whose knees grind, and click become very fearful. They worry that the clicking or grinding in their knee means that they are wearing away their cartilage. They worry that this means that they will develop osteoarthritis of the knee. For the vast majority of you, your knees are grinding or clicking (what we refer to as knee crepitus) because of normal structures moving around in the joint. That means that this will not cause osteoarthritis. There are MRI studies which showed that the sound when we crack our knuckles is caused by gas bubble expansion. That is not dangerous. There are studies which show that normal joint fluid moving within our knees can cause clicking. Again, that is normal. Now, there are those of you who might have painful clicking, snapping or popping in your knee. Let’s explore some of the more common reasons for painful knee clicking, popping and snapping. What Makes Our Knees Snap and Pop? Our knee joint is composed of three bones — the end of the femur or thigh bone; the top of the tibia or shinbone, and the patella, or kneecap. The knee is supported or held together by a number of ligaments. The knee moves because of a number of large strong muscles and tendons. Our two meniscus discs provide shock absorption. All of these structures can be damaged by activity, trauma, injury or simple degeneration. Many injuries to the knee structures mentioned above can cause snapping and popping of your knee. Chondromalacia: Is a condition where the cartilage under your kneecap is starting to degenerate. As the cartilage degenerates the surface can become rough. That rough surface will rub against the femur and cause snapping, clicking or popping. Click here to read more about chondromalacia. 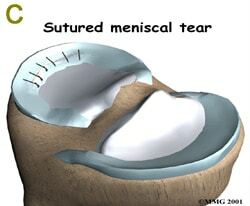 Meniscus tears: The two menisci are stuck between the end of the femur and top of the tibia. They are C-shaped discs that help support the knee and protect the cartilage surfaces. Because a meniscus is between the two bones, a torn meniscus with a loose flap can easily cause the knee to snap, pop or crack with turning, twisting and squatting. Click here to learn more about meniscus tears? The bones of our knee are covered by a thick smooth layer of “articular cartilage”. Injuries and certain diseases like Osteochondritis Dessicans (OCD) can cause defects or holes to occur in the cartilage layer. If you have a cartilage defect then the surfaces of your knee are no longer smooth, and your knee is likely to pop, snap or grind.This is an uncommon cause of painful snapping in the knee. Procedures such as MACI are making it easier to heal cartilage defects or injuries. Click here to learn more about cartilage defects. Kneecap Dislocations: Dislocations of the kneecap or patella are far more common than we used to believe. If you were participating in a sport, twisted and felt a pop then there is a chance that your kneecap dislocated. The patella or kneecap sits in a groove on the front of your femur. It should sit perfectly centered within that groove. Sometimes the patella tilts to one side, or sometimes it slides out of the groove completely. We cover patella dislocations and malalignment as a cause of knee popping in this post. This is a very complex issue that requires an evaluation by an Orthopedist who specializes in disorders of the patella and mal-tracking or instability disorders. Plica syndrome: A plica is a small fold of tissue inside your knee. Many people have a plica, but very few have snapping or pain. Over time and with chronic repetitive stress a plica may become thicker and more inflamed. If a plica becomes thick and inflamed it may cause painful snapping on the inner side of your knee. Read this post on plica syndromes for more. Osteoarthritis: By definition, osteoarthritis implies a degeneration or “thinning” of the cartilage you have on the ends of your bones. Normal cartilage is incredibly smooth. As arthritis progresses the cartilage will undergo changes that cause significant roughness to the surfaces of the knee. Sometimes the cartilage can even peel off the bone leaving a defect or crater in the cartilage. As the ends of your bones move on one another, any irregularity in the surface can cause snapping and popping within the knee. Many find that wearing a compression sleeve significantly diminishes the pain of arthritis. If simple remedies such as a compression knee sleeve, stretching, and time for recovery do not result in relief, consider seeing your doctor if you are concerned. There are many less common causes of knee snapping and popping. The issues mentioned above usually cause painful snapping and popping within the knee. If you have painful popping, snapping and swelling you should see your doctor. Many of you will have painless knee popping and snapping. Sometimes our knee pops or snaps for no known reason. In many situations it is simply “normal” and no treatment is necessary. I started running spring of last year and I fractured my tibia. I was supposed to keep from doing any physical activity for a month but I only waited a few weeks. I joined the cross-country team at my school and after a while it started to feel painful again. Now it doesn’t hurt but ever since my injury my knee always cracks and just recently I have been starting to have an urge to crack it or it feels tight. Can you help? I would need to examine you… sorry! i injured my knee 2 months ago and i just seen a knee doctor and he said that my knee cap is moved to the right and then he gave me a cortisone shot and for a day it felt like the swelling and the pain left but the second day my knee is popping and feeling weak most of the time but no a lot of pain just feeling weak wobbly ? An injection may cause the pain to improve… but it will not address the issue that caused the pain. 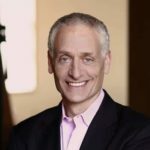 There are certain orthopedists who are very good at treating patella related pain… IT sounds like you need a better understanding of your choices. I started to exercise two years ago ( running on treadmill and dvd routine) and I’ve had not injuries until a week ago when my right knee started to pop without pain, but in the last two days my knee has swollen ( still no pain) and the popping has increased. What could this be?. I weight 140 lbs, and have a healthy diet. Thanks. It could be any number of things… Xrays and a good physical exam are needed. i turned and my knee popped! it is painful but not swollen. what can i do for this? also i rode my bike for maybe 2 miles after i did this. HI John …Please feel free to reach out to me on Curely — Where I answer everyones questions. The app can be found at https://www.curely.co Curely allows communication via text or email. Curely is a global platform that enables physicians to assist patients from around the globe who have questions before or after their visits with their own physicians. We usually remove the PVNS … is there a reason why they have not? I had a ruptured ACL and had knee reconstruction in 2010 at 27. Had to have part of my hamstring to removed to recreate the ligaments. Had meniscus tears and cartilage damage all round. After the reconstruction and the recovery I was actually back to full activity in 2011. Everything was grand. Occasionally I’d take a knock during football and it would feel like my knee would slide out of place on the inside of the leg, but it would quickly pop back in place and after a day or 3 of swelling I’d be back to normal. Fast forward to 2015 and my knee randomly slid out as I was walking at work 1 day, 3 weeks later and the knee slides out occasionally without reason and doesn’t pop back in place immediately as it used too, it can take hours of awkward limping. Advice and opinion would be greatly appreciated. Time for an Ortho evaluation … it may be a meniscus that is “popping out” or it could be due to something else. An exam will tell us what it is. If the knee still feels loose then you need to speak with your doctor or perhaps a second opinion. 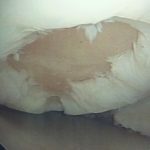 The pain from meniscus tears can come and go (irrespective of pregnancy)… that is very common, and that is the reason why many can go on without surgery. Not everyone will have significant pain. If the pain keeps recurring, and the pain is significant then other options can be reviewed with your surgeon. About 3 weeks ago I had an operation to repair a torn meniscus in two places. Ever since, I’ve been in more pain than I was in before the operation. My doc gave me two cortesione injections but they haven’t helped at all yet. Yesterday I noticed that my knee started popping whenever I walked. Is the popping related to the operation and should I be concerned? Thanks so much for your help. ? I am 15 years old, and have fractured both bones in my lower leg and broke my ankle and foot during a play in football. I had a full recovery and played baseball all summer with a knee and ankle brace. I noticed in about July that no matter what I was doing, straightening my leg would cause my knee to pop, and it feels like something in the back shifts. It is really painful and I can barely stand to play basketball anymore. Any feedback would be great, I have tried many times to look for a cause for this but have come up empty. Thank you! Popping in the knee can be due to a ligament injury and instability or it can be due to a meniscus tear. A good exam and perhaps an MRI can tell you more. Hello, I had ACL reconstruction last year in September and meniscus repair. Everything was going great until like last month when I injured my right knee again due to an akward twist in the right side of my knee while playing soccer. I went to the doctor and he said it should be a sprain and I’m still waiting for my MRI appointment. My knee feels loose and when I bend it back and forth it clicks like its unstable but I can do light jogging and stuff but I’m scared because I don’t want another surgery. Help? I wish I had good news for you … perhaps it is the mensicus tear … but it can be that your re-injured the ACL again too. How does it feel the second time having surgery in the same knee? Is the pain different from the first time? When will I return again to sport activities? Hey, so I’m 13 and during a Futsal (indoor soccer) game I was dribbling and a kid came and slide tackled into my knee. It had been sore/hurting before the game, but I thought nothing of it. When the kid hit me I when completely down and couldn’t move my knee and still can’t It’s been 3 days and if I put pressure on my knee it kills. I’ve iced it and laid down all day. I have a brace on it. I think it could be a tear in my PCL or LCL or something with my meniscus’s. Please Help! Hi Alex .. you need to see an Orthopedist. Many reason why your knee can hurt at your age. An X-ray and examination is necessary. It is not unusual for people to be sore, swollen and black and blue around the shin for a few weeks. If there is considerable swelling and calf pain you should speak with your doctor or go to an urgent care clinic since blood clots can form after an ACL surgery. So, if concerned then prompt evaluation is usually indicated. I am 13 I have never injured my knee but seem to have some sort of extra bone and when my ligament pulls to straighten my knee it pops. What is this? Im not clear on what you are referring to. I have osgood schlatter but when I straighten my leg from a bent position, i always hear and feel cracking sounds. The bottom part of my kneecap also hurt, could this be a symtom of a torn patellar tendon? I also play basketball often. Okay, so when I’ve played Basketball since 8th grade and I stopped during my freshman year because of knee pain, my dad took me to a clinic and they told me I had some sort of bubble in my knee, well after a few weeks it got worse, I’m not a sophomore and it hurts even worse, if I hit it against something I feel like crying, can you help? Possibly… but I would need to examine you.